Gamakatsu's Finesse Wide Gap Hook is the perfect hook for wacky rigging plastics in situations when a big hook is need but a long shank worm hook was too much for. 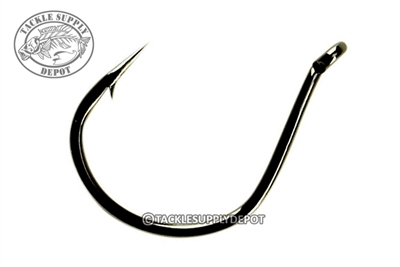 It's also a great hook for free drifting for salmon and steelhead with small baits. Another popular use of this hook is as a stinger hook in long worms.